‘Cause everybody knows, the more people that are on food stamps, the more likely they are going to vote for the guy who gives them their freebies. Throw a Great Party. Host social events where people mix and mingle. Make it fun by having activities, games, food, and entertainment, and provide information about SNAP. Putting SNAP information in a game format like BINGO, crossword puzzles, or even a “true/false” quiz is fun and helps get your message across in a memorable way. The good news is, you can pick up drinks and cigs for the party using your EBT card. If the clerk refuses to allow it, just have them fired. This ‘throw a party for food stamps’ initiative comes on the heals of a report that has the Obama admin running ads urging people to sign up for food stamps because “they make you look good“. Clearly the one in seven Americans already on food stamps is not enough for the President. He wants more. He wants you to think it’s the norm. He wants you to think it’s cool. But most importantly – he wants your vote. Because who’s going to get the food stamp vote – the candidate who wants to get America back to work, or the candidate who wants you to forgo work in lieu of food stamps and 100 weeks of unemployment checks? 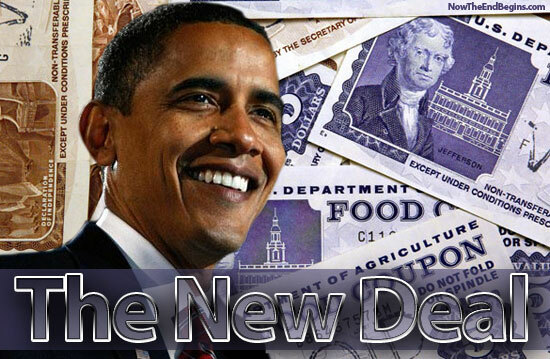 Don’t call Obama the ‘food stamp President’ though – that’s racist code don’t ya know? Allen West said it best when he stated that Republicans don’t want to get rid of welfare safety nets, they just don’t want to see the safety net become a hammock. Let’s hope voters get out of their hammock in November.